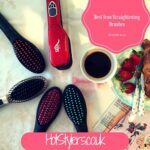 5 UK Hair Brush Straightener Models Reviewed | Which makes the best deal? There’s a new way to straighten hair for those of you not already in the know and it’s the hair straightening brush! This hair tool has been on the market now for a few years and is gaining in popularity with more and more hair tool manufacturers creating their own. That means that the latest models are armed with state-of-the-art technology and a wide variety of useful features making this new hair tool quite a phenomenon! Hair brush straighteners offer a larger surface area than traditional flat irons. This leads to a major time savings for busy women. Our guide takes a look at the best hair brush straightener models currently available. Our top three choices are highlighted below. The guide below includes a full review of each option. What Is a Hair Straightening Brush? 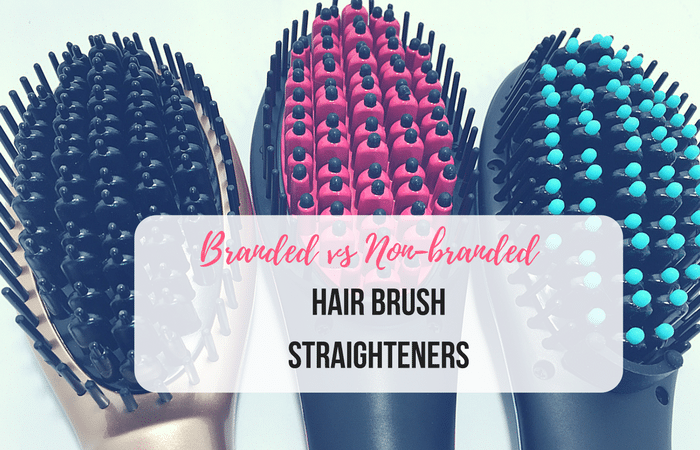 How is a Straightening Brush Different from My Flat Iron? Which Brush Should You Look For To Work with Your Hair Type? How Often Can I Use a Straightening Brush? So what exactly is a hair straightening brush? Well, it is exactly as it sounds. It’s designed in the style of a regular looking hairbrush. Some are paddle shaped, some are oval shaped but what they all have in common is that they are electrical. There is a wire attached to them at the base which plugs into the mains in the wall. There is a panel (usually on the inside of the handle) that features temperature and control switches. Some of the newer models even include an LCD display so you know the temperature of your brush. The bristles are different than a regular hairbrush. Most of them are rigid and made out of ceramic or similar (tourmaline or titanium for example) materials. The reason the bristles are made out of these materials is for good heat conduction. As the bristles heat up, they straighten hair as the heat from the brush passes through hair. Some brushes even include a heated body which aids in the straightening process. The main thing to remember is they do look similar to a hairbrush and they are designed like a hairbrush, to glide through hair. The main difference is they straighten as they pass through hair. For those of you who use flat irons (hair straighteners) there is a distinct difference in the look and in how to use each. A flat iron is a V-shaped tool. The flat iron includes two plates that you press together with a section of hair in-between once the plates are heated up to the right temperature for your hair type. Then you pull the iron through hair from root to tip and it creates straight-looking hair. Hair is subjected to intense heat directly onto each strand. A straightening hairbrush is different as it glides over and through hair so it doesn’t hold hair inside the brush and is therefore a less intense and less damaging in the process. Hair is not subjected to heat from both sides like flat irons. So, while they deliver a similar finish, they look different and they are different tools. Straightening brushes also offer a larger surface area than a typical flat iron. This means that straightening your hair takes less time than you might be used to with a regular flat iron. Do you want it to dry your hair first? There are some models that dry while straightening (from damp). Variable temperature control – you need to be able to adjust the temperature according to your hair type. Anti-scald technology – so you don’t burn your scalp while using. Length of cord – If you want to be able to comfortably style your hair around the back, it’s good to have a long, swivel cord. Weight – look for something that is lightweight especially if you have long, thick hair because if it takes you longer than average to straighten your hair, you want to be comfortable! This is very dependent on the type of hair you have and what you want to achieve. If you want to dry your hair and straighten at the same time then some models allow you to do that. These are useful for short hair and hair in good condition, but if your hair is very course, dry or long you might want to dry it off first. Applying more heat to dry, damaged hair can be very bad for its condition, so perhaps select a brush that works on dry hair. If you have very thick or very long hair, select a straightening hairbrush with a bigger head so it can grab more hair and finish the job quicker! Variable temperature is essential, especially if you have fine or damaged hair. Choose something with a low setting so you don’t burn or cause any further damage to your tresses! As with any hair tool you should take care using a hair straightening brush. Don’t use it too regularly because too much heat will cause stress to your hair, drying it out. Always use a heat protecting spray before use. Don’t keep going over and over the same section of hair. 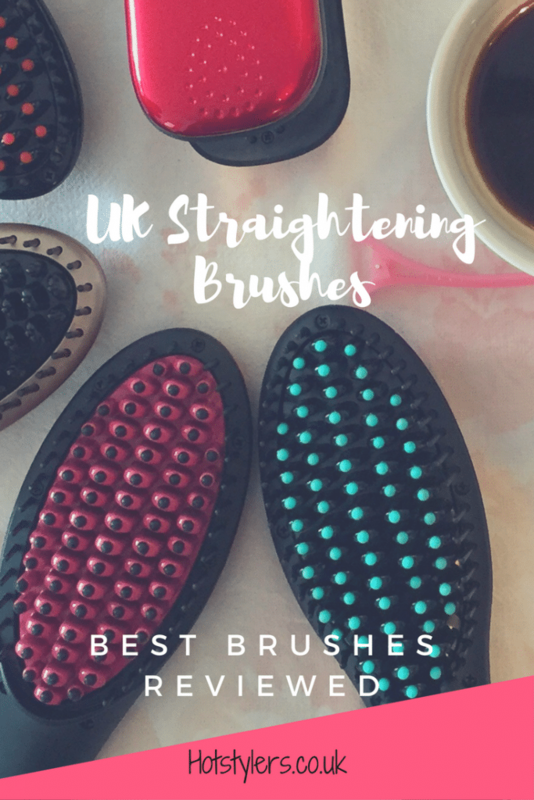 It’s best to use these straightening brushes once or twice a week, maximum. Once you’ve straightened your hair, if you select a good quality hair straightening brush, you shouldn’t need to re-do your hair again until the next wash. While curly haired women were over the moon at this new innovation, at the time they weren’t too impressed with the price, which was initially over £300. The price has dropped significantly since then, but it still represents an investment. However remember GHD’s were the first to launch ceramic straightening irons and their product continues to be the market leader at a high retail price so you do pay for a certain quality. Update: Dafni has recently launched a more practical and affordable version: Dafni Go , equipped with a detachable 2m long cable and a travel case. 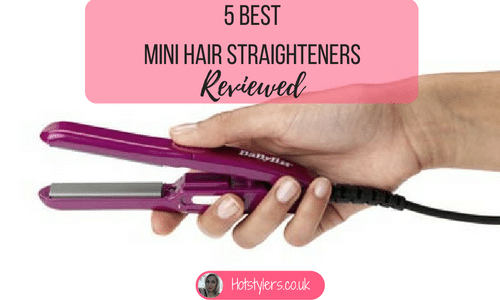 Actually, the DAFNI hair straightening brush is far superior to straightening irons because it doesn’t clamp down onto hair – there’s no risk of frying hair. It glided through my hair, although contrary to what it says, I would strongly advise you section out your hair so you get right to the underneath, otherwise you can miss out areas and end up with kinks where you don’t want them. There are also plastic attachments on the top of the teeth of the DAFNI but don’t be deterred, these protect your head from the hot temperature and allow easier brushing; they definitely made a difference to me when I used this product! The cable on the DAFNI is great at 2.2 meters, I could move around easily while styling which is usually the opposite when I use my hair straighteners; I find the cables on those fairly restrictive. If you have very curly hair roots, then a brush straightener might not be able to reach too deep and perfectly straighten them out, but it’s especially nice for touch ups, as it’s much easier to use than a straightener. As soon as the Dafni launched, cheaper models started to appear and most of them were of a lower quality from China. They were retailing for much cheaper than the Dafni, but along with the cheaper models came plenty of dangers. In fact one product was recalled (the Fast Hair) because of risk of electric shock! Others weren’t coated properly, with inferior materials so people experienced burnt and damaged hair. Some had poorly translated instructions and none of these models should ever have been brought to market. 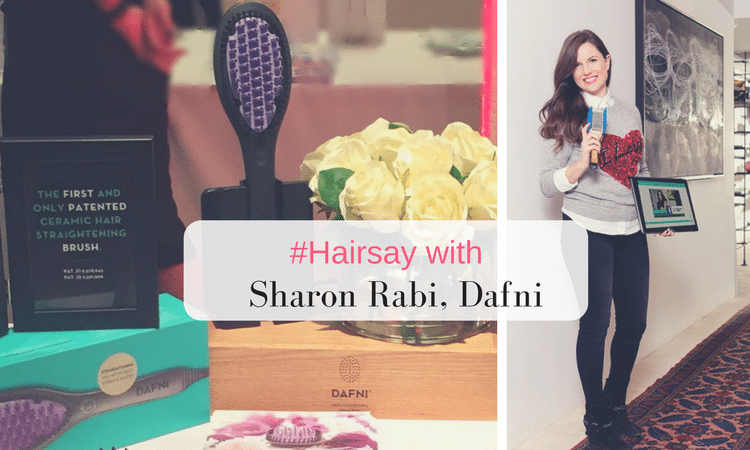 Now, just months later, big brands are starting to filter in their own versions of the original Dafni straightening brush. 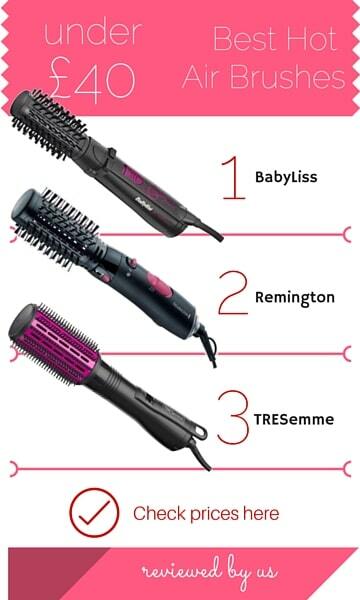 For example, the BaByliss Smoothing Brush, the Jose Eber Digital Straightening Brush and the Asavea. While these are genuinely much better quality than the cheaper Chinese models which infiltrated the market last year, do they work as well as the original Dafni? Let’s take a look. It’s also worth taking a look at the Asavea Straightening Brush, especially if you are on a tighter budget. With the onslaught of straightening brushes there’s no doubt the cheaper models have been poorer quality but actually this one is different. It retails at half the price of the established brands models. It’s one of the highest rated hair straightening tools on Amazon, so other people have enjoyed their hair straightening experience using this brush too. 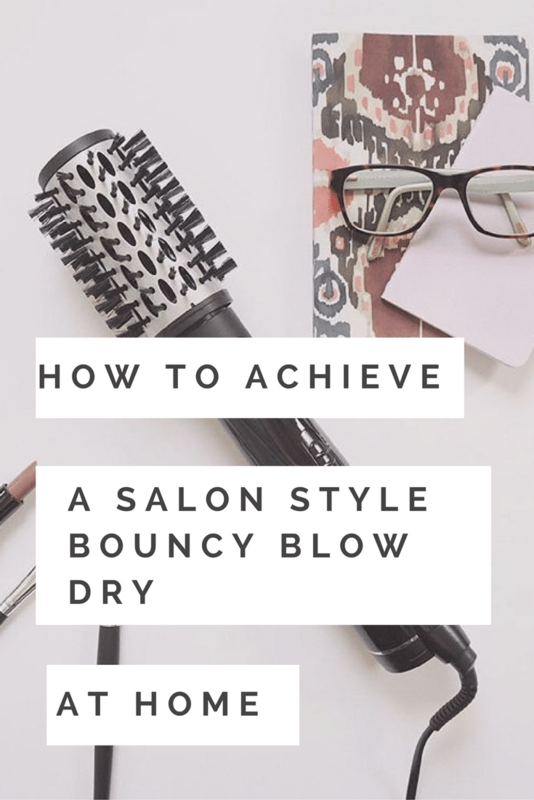 In fact, if you have very curly hair you will love the salon-style results you get from this brush because rather than flattening out hair it gives it plenty of oomph which means lots of volume and hair isn’t pancake flat. It heats up fast too and it won’t scald your head when you use it. Anti-scald technology so the bristles won’t burn your scalp. Swivel cord so you can move around freely as you style. Fast heat up in one minute to the highest temperature setting. High heat of 185 degrees celsius. The BaByliss Diamond Smoothing Brush is endorsed by Fearne Cotton and of course she is paid to do this but remember, famous people don’t want to put their face to a product if they don’t think it works because they wouldn’t want to risk their own reputation. If you’ve looked on YouTube you’ll find a recording of Fearne Cotton straightening out her hair using the Diamond Brush and while her hair isn’t very curly, it does smooth out her kinks and waves in one pass per section. It’s also wide enough to cope with a large amount of hair at a time, a godsend for women with long or very thick hair. We think this is a very good quality product and one that delivers outstanding results but it is not suitable if you have extremely thick or Afro-Caribbean hair. We think the BaByliss Diamond Smoothing Brush is as good as the market leader and it’s a lot cheaper too. This one is different than a brush because it looks more like a comb but it does the same job. It might be small but it is powerful and it delivers a beautiful looking head of shiny, healthy and manageable looking hair. Well, I put it to the test on my mid length, relatively thick wavy hair. My hair also has a tendency to frizz in the heat so I thought this would be a life saver! The AsaVea heated up very quickly in less than a minute and the cord rotated so I didn’t get tangled up. I also liked the LED display so I could easily monitor the temperature. I like that it didn’t get too hot, its lightweight, and it delivered good shine. As far as negatives, I would say you do need to section out your hair despite what the instructions suggest. It took longer to straighten out hair than a set of hair straighteners. You need to brush your hair first to get rid of any knots or you do end up pulling hair unnecessarily which can be uncomfortable. I would also say that if you have extremely thick and unruly hair, select another option because the teeth on these hairbrushes aren’t big enough to get right through so you would be spending an inordinate amount of time getting through your hair! The Jose Eber Digital Straightening Brush is very new to the market and it’s not a well-known brand name so we were interested to see if it was a good brush to try out. It’s another good option to choose if you want a more economical straightening brush that still offers plenty of features. In just one pass per section curly hair is straightened and you don’t need to keep going over it. It’s good for curly hair and frizzy types too – even for some Afro-Caribbean hair types. Ceramic technology to tame static and frizz. Moisture locking technology so it doesn’t dehydrate your hair. Cool tip bristles so no scalp burn! Digital heat control so you can see what temperature setting its on at any time. Temperature settings ranging from 80 degrees celsius to 230 degrees celsius (only use the highest if your hair is undamaged and thick). Lightweight so for those of you with lots of hair, you won’t hurt your wrist. Fast acting so you don’t need to spend longer than 20 minutes straightening a good head of reasonably thick hair. Are #4 and #5 made by the same company? (AsaVea) They look totally different. Which is better?